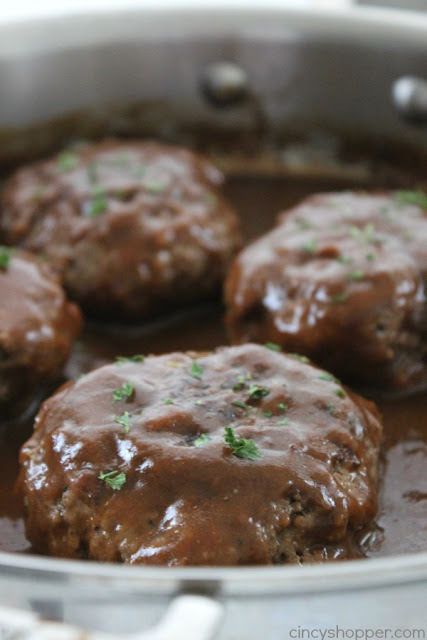 This Simple Salisbury Steak will make for a perfect weeknight recipe idea to serve the family. Add in some mashed potatoes and your favorite veggies for the ultimate comfort food. An easy meal idea that is inexpensive and tasty. Combine all pattie ingredients in a large bowl and massage with your hands until ingredients are incorporated. 0 Response to "SIMPLE SALISBURY STEAK"